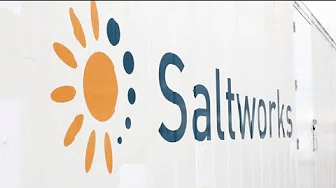 Saltworks’ latest SaltMaker Evaporator Crystallizer is currently being built for a mine in Northern Canada. The versatile brine concentrator is taking shape in our production factory in Richmond, British Columbia. The SaltMaker Evaporator Crystallizer can treat the toughest wastewater, help meet discharge requirements, and achieve zero liquid discharge (ZLD). Its multiple operating modes give you the option of running the machine as an evaporator to reduce the volume of liquid waste or as a crystallizer to produce dry solid waste. With multiple thermal cycles and use of residual heat from existing operations, the SaltMaker slashes your energy costs.